These are so simple, this is hardly a recipe. 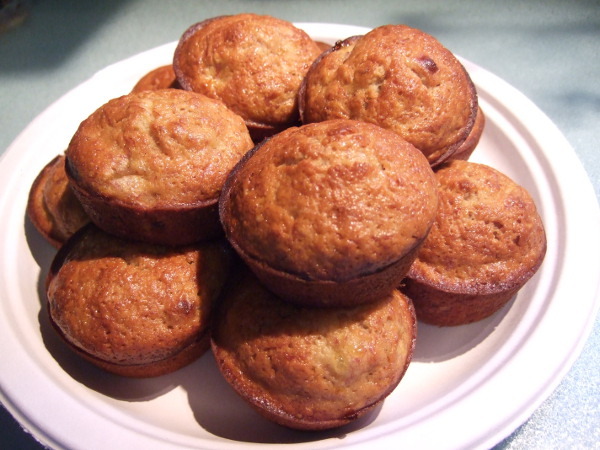 Grease as many muffin cups with coconut oil as eggs you want. 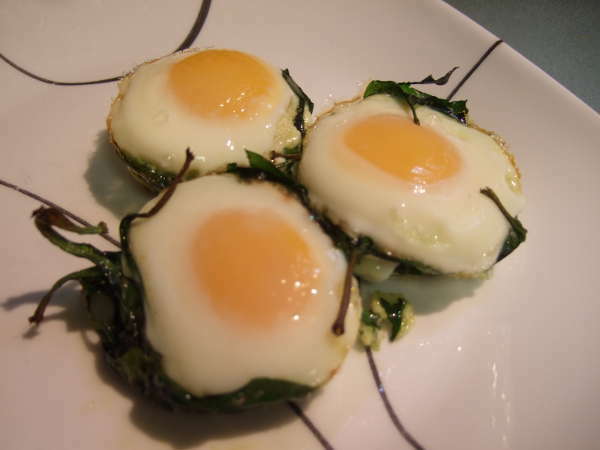 Put a few raw baby spinach leaves in the bottom of each muffin cup. Add a dash of salt and pepper to each. Crack an egg in each muffin cup. Bake in a 350 degree oven until eggs are as done as you desire. 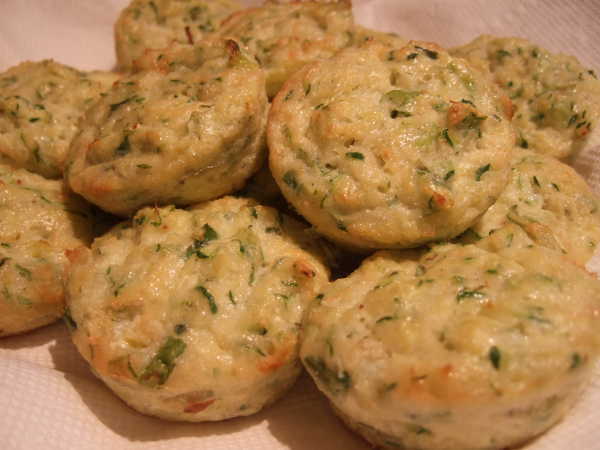 These are not seasoned like zucchini bread, but rather in a savory flavor like zucchini skillet cakes, but in the convenience of a muffin shape. They are great for breakfast or a quick and easy snack. They should be refrigerated if not eaten immediately, but can be reheated, and I love them cold. Wash and remove the ends of the zucchini. Grate using a large scale grater (grating it too fine will just reduce it to mush). Put the grated zucchini in a colander over a bowl or sink. Mix the salt into it and let it sit for 30 minutes. Press the zucchini against the sides of the colander to remove as much water as possible. Melt the coconut oil. Put the zucchini and the rest of the ingredients in a bowl and mix well. Pour evenly into 12 parts of a greased muffin pan. Bake at 350 degrees for 25 minutes. What’s not to love! No mess muffins. My son loves mushing the bananas in the ziploc bag. These are super easy and arguably the best tasting I’ve ever had. I highly recommend giving these a try. I used 3/4 cup of sugar rather than the full cup because we don’t like things as sweet. I also didn’t add a sugar glaze. These were magnificent served split with some cream cheese in the middle. My grandmother probably made one of these every week. It was always everyone’s favorite, but one of the easiest to make. Pre-heat oven to 350 degrees. Put butter in a casserole and in the oven until butter has melted. While butter is melting, mix egg, milk, flour and sugar in a bowl. Pour into casserole with melted butter. Sprinkle peaches and juice evenly over the batter. Bake for about 45 minutes, until golden brown on top. 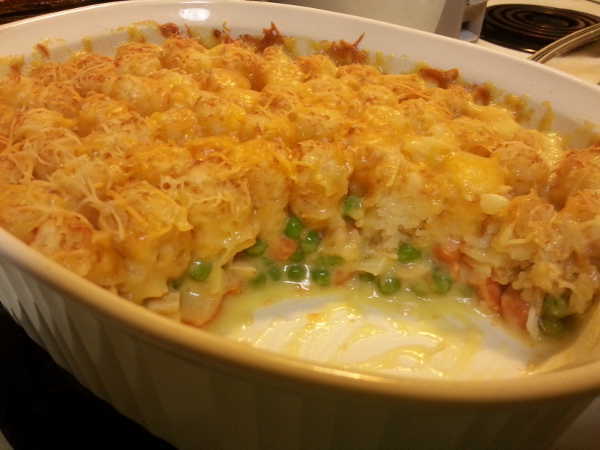 This is a wonderful tasting, easy-to-make casserole. 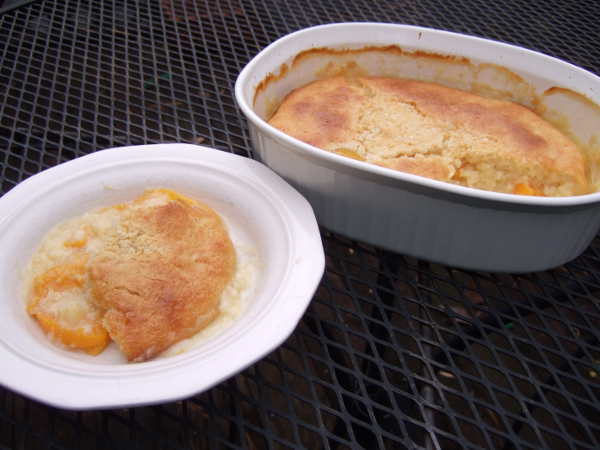 The recipe makes two casseroles, one to eat and one to freeze, which is a great idea. Tonight I only made half the recipe. This would be a great freezer meal for an expectant mother. Today my son and I tried these cookies. I can’t give a full review because I didn’t have the amount of oatmeal called for. 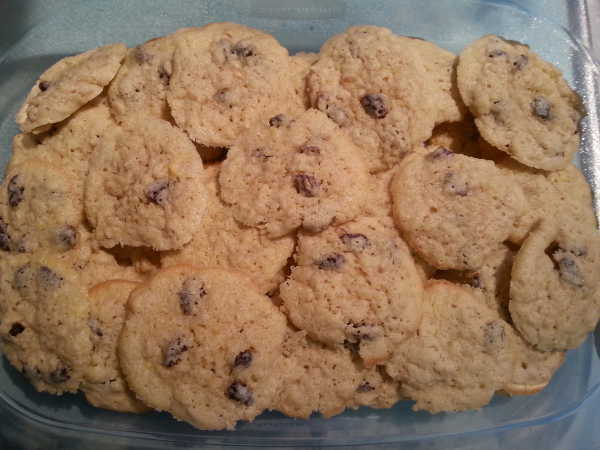 The cookies stuck to the pan, which is probably due to having disproportionate sugar to grains. They taste wonderful, so I will definitely have to give this another go when I have enough oatmeal. I’m posting this as a review because this is not my recipe, but I don’t have a link for it because it has evidently been deleted. I will post the recipe in full here since a link is not available. 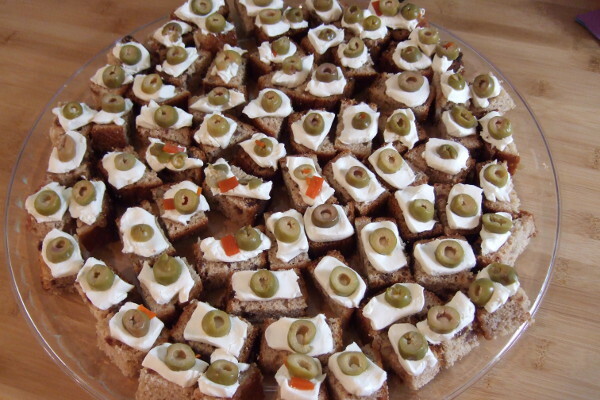 We were wanting to make appetizers with date nut bread, cream cheese and green olives. 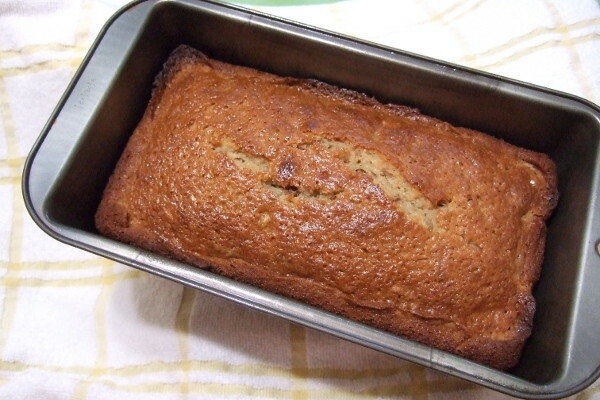 Years ago, we could buy date nut bread in a can at the grocery store, but it is no longer available. This recipe made a nice replacement. In a bowl, combine the dates, water and butter; let stand for 5 minutes. In a large bowl, combine the flour, sugar, walnuts, baking soda and salt. Stir in the eggs, vanilla and date mixture just until moistened. Pour into two greased 8-in. x 4-in. x 2-in. loaf pans. Bake at 375 degrees F for 45-50 minutes or until a toothpick comes out clean. Cover loosely with foil if top browns to quickly. Cool for 10 minutes before removing from pans to wire racks. 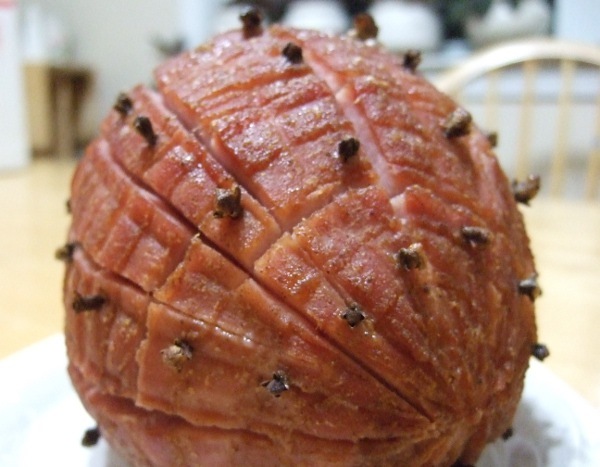 My husband wanted ham for Christmas. It was just going to be for our little family and I didn’t want tons of leftovers, so I found this little ham nugget. But my husband didn’t miss out on a thing. I scored and cloved the little nugget and dressed it with this Mustard and Whiskey Glaze. He heartily approved of the results. This Spanish Rice recipe from Cooks.com was easy and delicious. I will definitely be making this again. 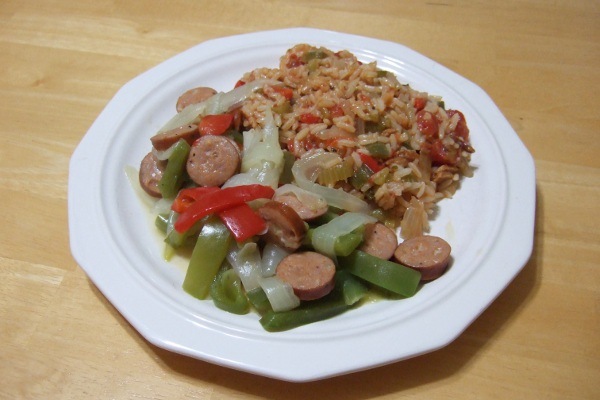 I served it as a side to Johnsonville Chipotle Monterey Jack Cheese Chicken Sausage stir fried with red and green peppers, yellow onions and a little olive oil. I’ve tried all the Johnsonville Chicken Sausages and they are all wonderful. This soup is so easy to prepare and so delicious. It is much like the ground beef variety, but made with chicken and prepared in the crock pot. Put chicken breasts in crock pot and sprinkle with taco seasoning. Add chicken broth. Cover pot and cook on low for 3 hours. Chicken should be tender. Us a turner to break chicken into small pieces. Add the remaining ingredients and stir. Cover pot and cook on low for at least 2 hours. Soup can be eaten as is, or can be topped with shredded cheese and sour cream. 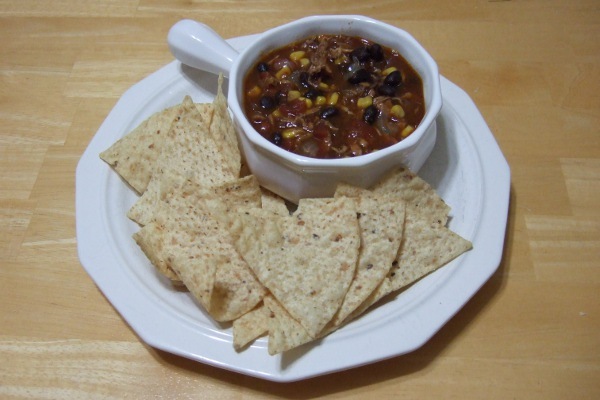 It is great served with tortilla chips.